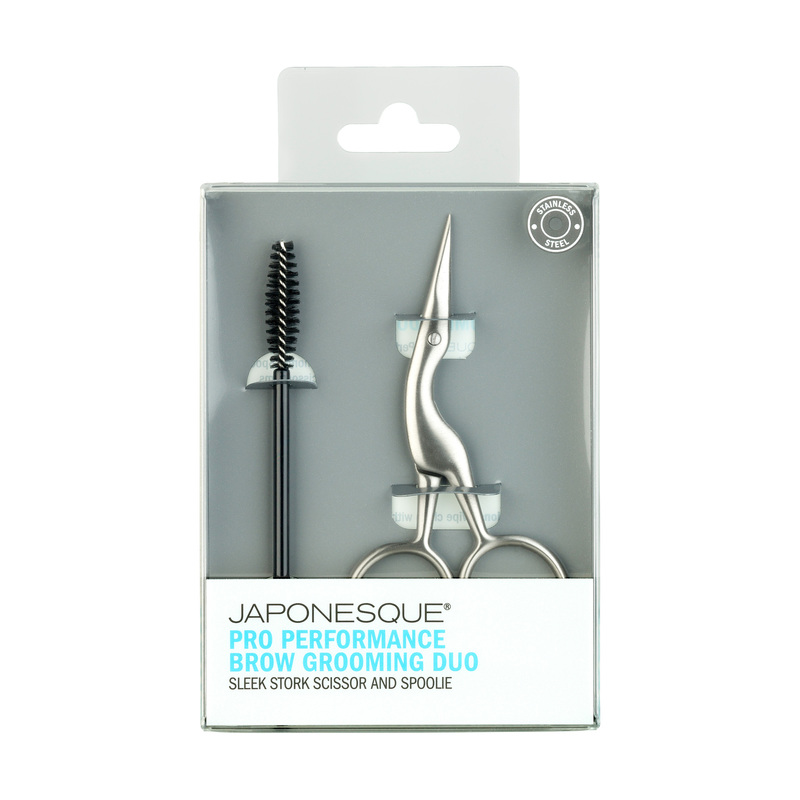 The JAPONESQUE® Pro Performance Brow Grooming Duo shapes brows for professional quality brow care at home. Spoolie brushes brows neatly into place. Precision stork scissor trims unwanted hair with accuracy and ease. 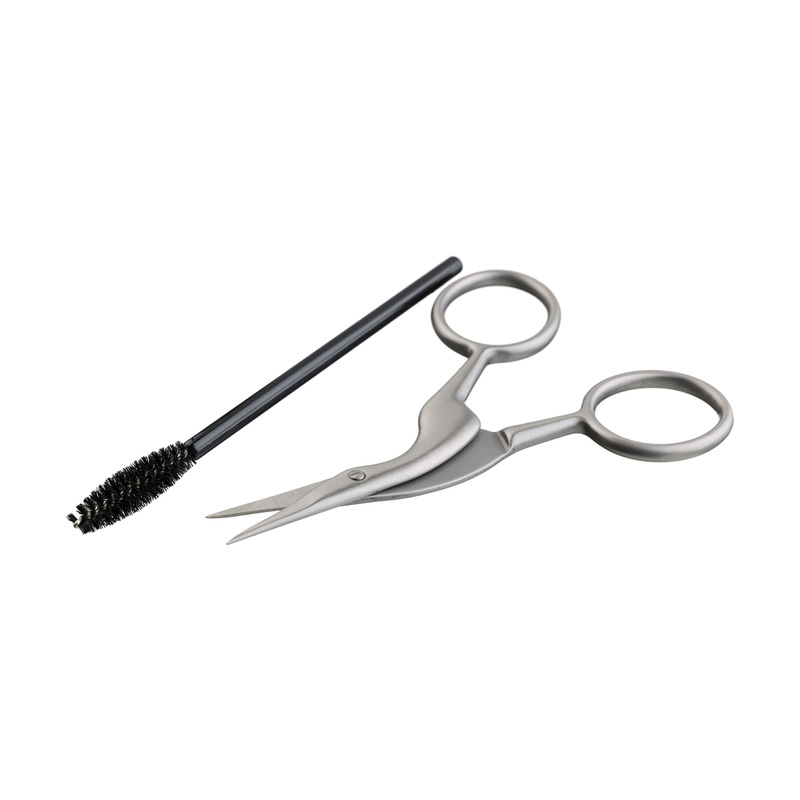 Scissor is constructed with high quality stainless steel to provide lasting performance. First use the spoolie to brush brows upwards prior to trimming. Then position scissor blades above brows and trim to desired length. For best results, follow your natural brow curve. I love how these scissors are curved, making it easier to trim my brows. These are great grooming scissors. 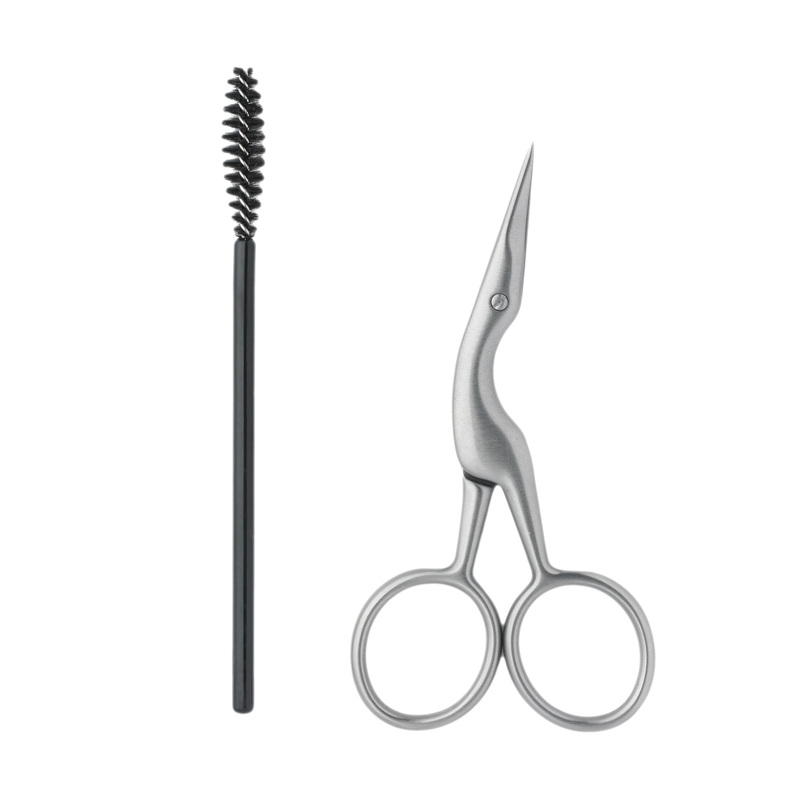 This is the perfect brow grooming kit. I use the spoolie to brush my brow hairs up and then I use the scissors to trim them. Perfect for those us with the fuzzy caterpillar eyebrows!